If you’ve been following Cracking the Cover for a while, you know that I occasionally dip into “crossover” novels that are intended for adults, but that I would have read when I was a teen. Books from Shadow Mountain’s Proper Romance line often fall under that description. 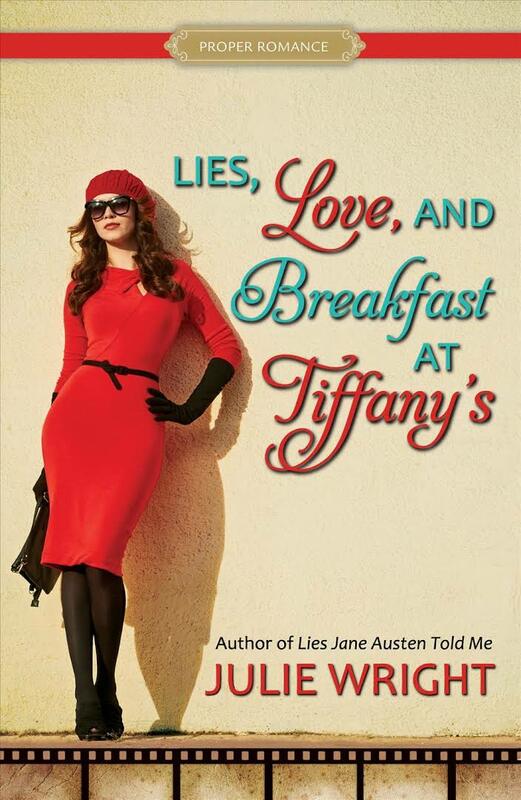 Lies, Love, and Breakfast at Tiffany’s, by Julie Wright, is a Proper Romance Contemporary novel that follows a popular Proper Romance character from Julie’s Lies Jane Austen Told Me. If you think that Lies, Love, and Breakfast at Tiffany’s sounds a little formulaic, then you’re right, it is. But it’s not really a problem. When you pick up a book like this, you’re expecting a happy outcome — that’s the whole point of a romance. In this particular instance, Silvia is a decent main character, although not particularly dynamic. Ben is likeable and a good match for Silvia. The main characters have a good rapport, and their banter is probably the best part of the book. Lies, Love, and Breakfast at Tiffanys is fast and comfortable, prefect for a little escapism during the holiday season.